Welcome to Action Burger’s new birthday and table reservation page. 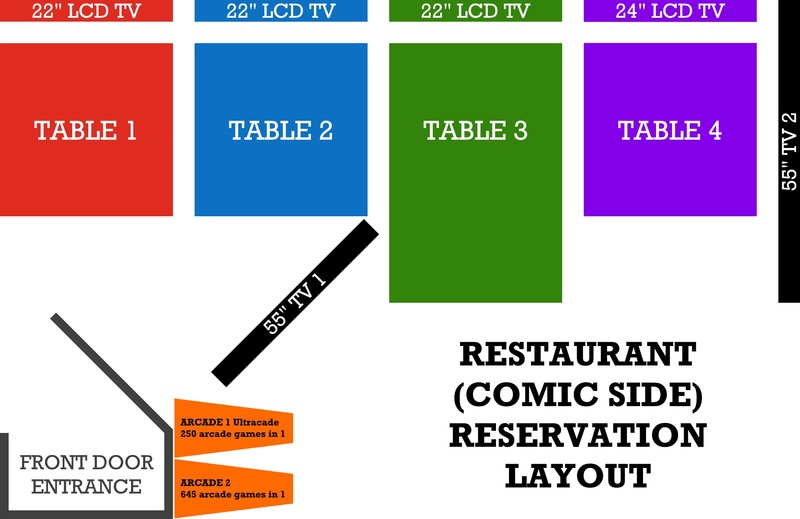 Here you can learn about pricing for reserving tables on the “comic side” of the restaurant, reserving the “sci-fi bar area” for group parties, reserving the big WTF 20,000 in 1 arcade by itself, board/card games reservations, reserving wii u areas and reserving the entire restaurant. There are links to where you can book and pay directly from this site. Why do I need a reservation if all the games are suppose to be free? All games at Action Burger are free. Some require reservations to rent the space/seating and game controllers to play more games. In other words (in gamer language), reservations are like unlocking a game to play more hidden content or characters. 1. It’s becoming busier at Action Burger, more customers are eating and playing video games at tables an average of 30-90 mins. Tables are becoming more and more limited. 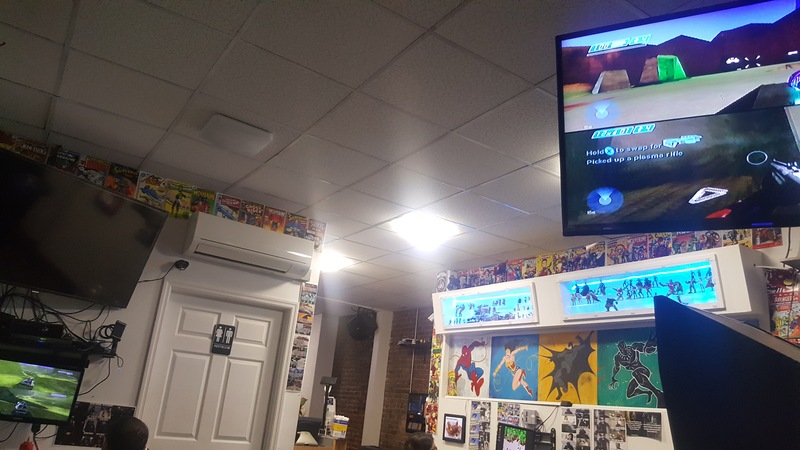 Example: 2-4 Customers enter the restaurant and realize both Game cube systems for double dash Mario kart and Super Smash bros are occupied. They don’t want to wait 30-90 mins until the current customers leave. So purchasing a reservation will guarantee a table or area for the specific time the customer wants. * Reservations also includes unlocking more newer systems (Wii U, Nintendo switch, Raspberry pi and more), access to play dozens of board/card games, and access to play on big screens. 2. All games at Action Burger are free. 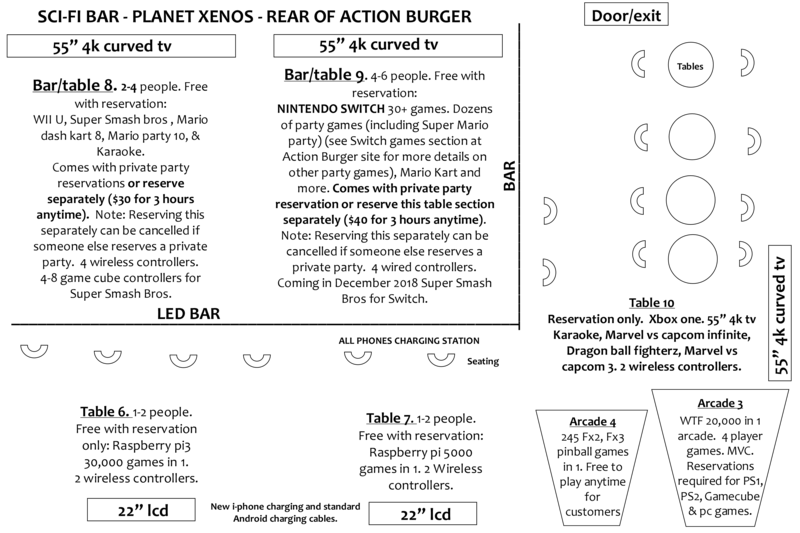 Some games require reservations to rent the space/seating at a certain time and wireless game controllers usage to play more games. More video game like: WII U 30+ games (Super smash bros, Double Dash 8), Xbox 360 200+ games, Xbox one, Karaoke, 300+ Game cube, raspberry pi 3 games, Nintendo switch, 1500+ PS1/PS2 games, Nintendo 64 100+, PC dos games from the 80s/90s (Police Quest, Leisure Suit Larry, Doom 2 and more). NOTE: Using Action Burger’s wireless/wired controllers and boardgames/card games require signing an equipment release form. The form states you will be responsible for returning the controllers and or boardgames/card games in the condition it was given to you. A credit card and id will be held until items are returned. 3. Birthday parties for 2-25 customers are frequent at Action Burger. You can reserve a table for 2-4 people or tables for groups of 6-25. We have Halo lan & Call of Duty lan birthday party packages. Open bar packages and bar reservation specials. Rent tables 1-4 and play your own music through Bluetooth on the soundbar speakers. You can also request a movie and play video games on both big screen. 4. Purchase a reservation to do a presentation or screening of something you or someone else created. For example: You created a documentary, or animation or video, it can be played on our big screens to show on a group of friends or co-workers. Launch party is another reason for getting a reservation at Action Burger. 5. Wedding reception, bachelor parties, graduation, promotion, baby shower, sweet 16 and more. There are countless reasons to have a reservation at Action Burger. There are unlimited games and activities to entertain our customers. Why not having a wedding or wedding reception at Action burger. We can setup a nerd wedding super party. Open bar packages and food packages for customers to have one of the best time of their life. 6. LAN PARTY RESERVATIONS FOR: Halo 1, 2, 3, 4, reach, Call of Duty, Mario Kart Double Dash & more. Where else can you play lan network games for your birthday or group get together? We have 2 Xbox and 2 Xbox 360 with 100s of games for each. 3 GameCube networked to play team Mario Kart races up to 12 players. Scroll down to read more about lan parties. Click here to see our Xbox and Xbox 360 games list. Table 1 & 2 seating for 2-5 customers each table. Reservation games: Wii u 25+ games (Karaoke, Super Smash bros & Mario Kart 8), Xbox and Nintendo switch (coming in 2019). Both systems available on big screen TV1 or TV2. Also available for reservations dozens of board games & card games (click here to learn more). One board game and one card game available for each table. Swapping out board games or card games during reservations are not allowed. We will have games setup before you come. 15% gratuity is added for groups 4 or more or reserving more than 1 table. ALL DAY Monday-Thursday $30 for 3 hours max. AFTER 7PM Friday, Saturday $40 for 3 hours max after 7pm. 1PM-7PM Friday & Saturday $35 for 3 hours. ALL DAY SUNDAY $35. Table 3 seating for 2-7 customers. Extra reservation games: Wii u 25+ games (Karaoke, Super Smash bros & Mario Kart 8), Xbox and Nintendo switch (coming in 2019). Both systems available on big screen TV1 or TV2. Also available for reservations dozens of board games & card games (click here to learn more). One board games and one card games available for each table. Swapping out board games or card games during reservations are not allowed. We will have games setup before you come. 15% gratuity is automatically added for this reservation. ALL DAY Monday – Thursday $40 for 3 hours. Add table 4 for $10 more. AFTER 7PM Friday, Saturday $50 for 3 hours. Add table 4 for $10 more. 1PM-7PM Friday & Saturday $45 for 3 hours. ALL DAY SUNDAY $45. Add table 4 for $10 more. TABLE 4 seating for 2-3 customers. Xbox 200+ games (Halo 1, Halo2, call of duty, Max payne and more). Dozens of board games and card games are included. One board games and one card games available for each table. Swapping out board games or card games during reservations are not allowed. We will have games setup on standby before you come. AFTER 7PM Friday & Saturday $25 for 3 hours. 1PM-7PM Friday & Saturday $20 for 3 hours. ALL DAY SUNDAY $25. Free with reservation Reservations range between $30-$50 for 3 hours. 12+ Board games & card games. Choose 1 per reservation. RENT THE ENTIRE BACK AREA FOR A PRIVATE PARTY. This private party area is unlike anything on the market. Compare our packages to Dave & Busters and any other private party businesses you’ve experienced in the past. Seating and standing area for 10-25 people. 100s of unlocked games specifically for reservation private parties. 15% gratuity is automatically added for this reservation. XBOX ONE SYSTEM – Play Marvel vs Capcom infinite, Dragon Ball fighterz and more. 2 wireless controllers. WTF 20,000 IN 1 ARCADE – 1000+ ps1 & ps2 games. 300+ Gamecube & Nintendo 64 games. PC dos games from the 80s and 90s (Leisure Suit larry, police quest 1-3, Doom 1 & 2 and more). Click here to watch the video of the games for reservations. 2 wireless controllers. VERTIPIN 200 IN 1 PINBALL & ARCADE GAMES – New to the market and new to Action Burger. Play over 200 FX1, fX2 & FX3 pinball games. Hours of fun for pinball and arcade game lovers. RASPBERRY PI 3 SYSTEM – 5000 arcade & video games in 1. PS1, retro arcades, pc dos games (Leisure suit Larry, police quest 1-3, Doom 1 & 2 and more). SUPER RASPBERRY PI 3 2TB SYSTEM, 30,000 GAMES IN 1. Unreleased Japanese and Euro version games, ps1, pc dos games, many versions of street fighter and many more. Hard to find games and games you haven’t seen in years. Click here to see the games & system lists. WII U ON 55″ – 25+ Wii u games like (super smash bros, Karaoke sing, Mario kart 8 and party games). NINTENDO SWITCH (Mario party, Super Smash bros Ultimate, Mario Kart and 20+ games). RENT THE ENTIRE BACK BAR AREA. PLAY YOUR MUSIC – Play your own music play list through the bluetooth to the home theater system. BOARD GAMES AND CARD GAMES – Play up to 3 board/card games per reservation. ADD OPEN BAR DRINKS TO PACKAGE (PRIVATE PARTY). Well drinks $35 per person (for 3 hours), for 10 people $300. High end drinks $60 per person (for 3 hours), for 10 people $500. PRICES – Monday – Thursday $50 an hour (3 hour minimum), get 5 hours for $200. Friday & Saturday 1pm-7pm $60 an hour (3 hour minimum), get 5 hours for $240 . FRIDAY & SATURDAY 7PM-4AM $80 an hour (3 hour minimum). 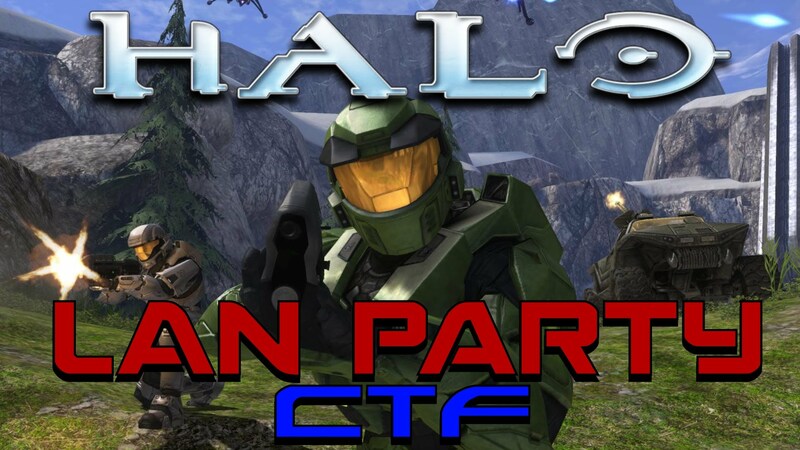 HALO 1 & 2 LAN PARTY – CALL OF DUTY LAN PARTY – FOR BIRTHDAY PARTY OR GROUP GET TOGETHER. Get some friends together and have your own lan party for 2-12 players. Play some Halo CTF, slayer and other lan party games. We have two original xbox or 1 xbox and 1 xbox 360 setup for system link with the games ready to go with your reservation. $10 minimum food or drink required per person. A. Xbox or Xbox 360 stand alone system (non lan) – At table 4 on one 24″ screen – 2-3 players. Reservation includes access to 300+ Xbox games & 300+ Xbox 360 games. Also includes additional controllers for Xbox 360. Games available: All call of duties, Halo 1-Reach, Gears of war and more. What to do: reserve table 4 at the time you want and add in comments which system and which games you would like setup. Prices start at $30 for up to 3 hours. B. Xbox 360 stand alone (non lan) at table 3. Seating is for 4-7 people. Reserve table 3 and have access to over 300+ Xbox 360 games on up to 4 wired & wireless 360 controllers. Xbox 360 will be played on the 55″ T.V. 2. Package includes Call of Duty, Halo 3-reach, gears of war, basketball, football and more. What to do to reserve? Goto reservation page, find your time and date. Pick table 3 and add in comments How many controllers you need, which system and which games you want to play. Prices start at $45 and up for up to 3 hours. 15% gratuity required for staff at restaurant. Please pay in cash after reservation. Thank you. C. Xbox Lan party up to 8 players on two original xbox systems. Tables 3 & 2 on two 55″ screens (TV 1 & 2). Halo 1 & 2 & Xbox Call of duties games. You can play CTF, slayer and many other lan party games. What to do to reserve? Goto reservation page, find your time and date. Reserve tables 2 & 3 (NOTE: you might have to reserve and pay for each table separately). Leave in comments “Halo/Xbox Lan party for tables 2 & 3.” Let us know how many controllers you’ll need. Prices start at $80 for up to 3 hours. 15% gratuity required for staff at restaurant. Please pay in cash after reservation. Thank you. D. Xbox Lan party up to 12 players on two original xbox systems and one xbox 360. Tables 3, 4 & 2 on two 55″ screens (TV 1 & 2) & 1 24″ screen. Halo 1 & 2 & Xbox Call of duties games. You can play CTF, slayer and many other lan party games. What to do to reserve? Goto reservation page, find your time and date. Reserve tables 2, 3 & 4 (NOTE: you might have to reserve and pay for each table separately). Leave in comments “Halo/Xbox Lan party for tables 2, 4 & 3.” Let us know how many controllers you’ll need. Prices start at $100 for up to 3 hours. 15% gratuity required for staff at restaurant. Please pay in cash after reservation. Thank you. E. Xbox 360 lan party up to 8 players on two 360 xbox systems. Tables 2 & 3. Comes with wired and wireless controllers for xbox 360. You will be using two 55″ screens. Most for Call of duty, Halo 3, 4 & reach, gears of war. What to do to reserve? Goto reservation page, find your time and date. Reserve tables 2, 3 & (NOTE: you might have to reserve and pay for each table separately). Leave in comments “Halo/Xbox Lan party for tables 2 & 3.” Let us know how many controllers you’ll need. Prices start at $80 for up to 3 hours. 15% gratuity required for staff at restaurant. Please pay in cash after reservation. Thank you. HALF RESTAURANT PARTY RENTAL – Rent the comic side of the restaurant. Seating for 20-25 people. Tables 1-5. What comes with this package? Access to play the WII U, both Game cubes, both Xboxs, lan games access, usage of up to 6 card/board games, play your music from your cell phone through blue-tooth to the sound bar home theater system, request a movie, watch regular tv or sports, play your own special event video or launch party video on the big screens, access to over 300+ SNES/NES games and access to arcades 1 & 2. 15% gratuity is automatically added for this reservation. Monday-Thursday $120 for 3 hours. $200 for 6 hours. Friday & Saturday 1pm-7pm. $150 for 3 hours. $250 for 6 hours (1pm-7pm). Friday & Saturday 7pm-4am $200 for 3 hours. Sunday $150 for 3 hours all day. Food packages will be added soon. ADD OPEN BAR DRINK TO PACKAGE. 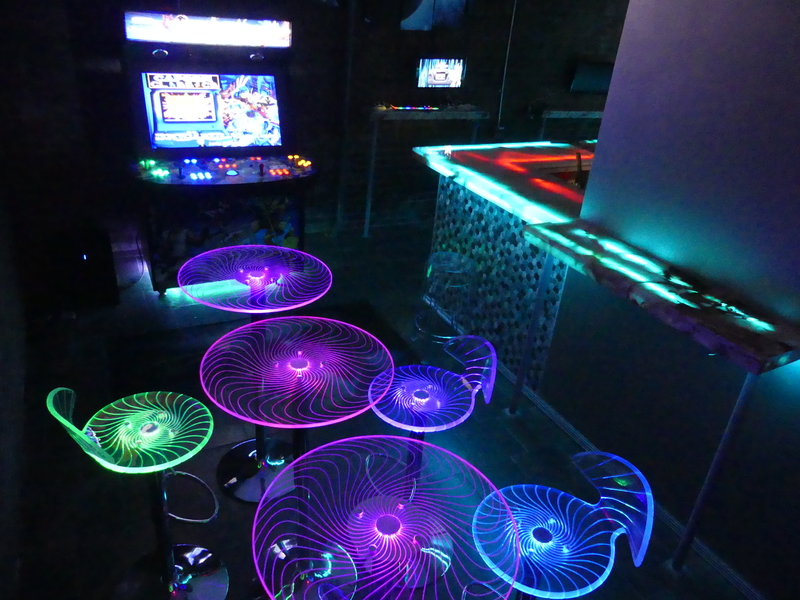 Q & A: Why would I want to pay to play a free arcade? This arcade is becoming more and more popular. Customers are constantly occupying this arcade, why wait until they finish if you can reserve it when you want. Four friends can play the four player games (NBA Jams, Ninja turtles, Simpsons and more). This reserve is for arcade 3 to play the locked games. Unlocked games include 1000+ ps1 & ps2 games. 300+ Gamecube & Nintendo 64 games. PC dos games from the 80s and 90s (Leisure Suit larry, police quest 1-3, Doom 1 & 2 and more). Click here to watch the video of the games for reservations. 2 wireless controllers and wireless keyboard come with this. PRICING – Monday – Thursday $30 for 3 hours. Friday & Saturday 1pm-7pm and Sunday $40 for 3 hours. Friday & Saturday 7pm-4am $50 for 3 hours. Reserve at restaurant. – Renting the bar side and comic side. Seating and space for 30-50 people. 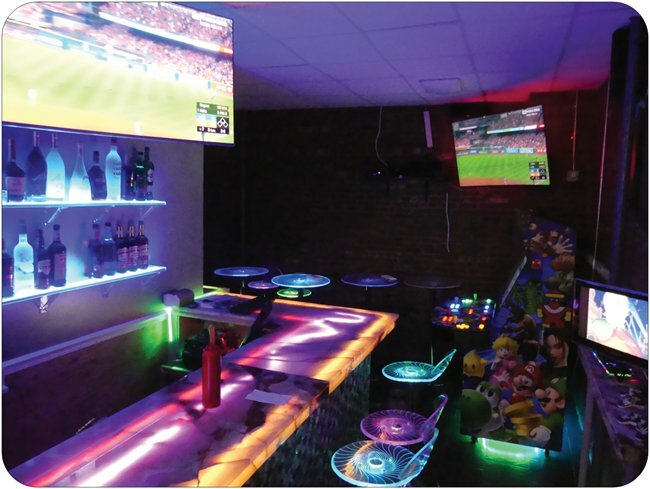 – Reservation for 4 hours Arcades included: 1500 PS1 and PS2 games (on the WTF arcade 20,000 games in 1, 150+ Game cube (super smash, mario kart, party games), Karaoke on the Xbox 360. Shooting games with light guns, Pc dos games, Marvel vs capcom, all street fighters and all mortal kombat, 4 player games (Ninja turtles, Simpsons, NBA Jams & more), your own music played through bluetooth, board games/card games (Monopoly, Uno, Scrabble, chess and more). – DANCE AND PLAY YOUR OWN MUSIC ON THE HOME THEATER SYSTEM. – HIGH END OPEN BAR PACKAGE. For 30 guest. Discounted at + $1500 (comes with 10 free champagne bottles). Or $60 per person. – WELL DRINKS OPEN BAR PACKAGE. For 30 guest. Discounted at +$700 (Comes with 5 free champagne bottles). Or $35 per person. – APPETIZERS – Optional. 50 wings, 4 double tots, 4 double mozzarella sticks, 2 double mac and cheese nuggets). Comes with unlimited soda gun refills (Sprite, Coke, Orange cream, sweet tea, diet coke, seltzer, black cherry soda). +$175. Unlimited soda not available for after hours private party. – – Full kitchen available. – PRICE: Monday – Thursday $150 an hour (3 hour minimum). Friday & Saturday 1pm-7pm $200 an hour (3 hour minimum). Friday & Saturday 7pm-4am $300 an hour (3 hour minimum). Sunday all day $200 an hour (3 hour minimum). (NOTE: Please reserve asap, if interested, since other packages purchase from other people might make this package unavailable) Purchasing this can count as deposit if you want to upgrade. Perfect for early in the day get together. Late night LAN parties with friends and more. Comes with all the video games and board games of the private party. Food can take 30-90 minutes, depending on how many people are ordering food & drinks. Doors would be locked while party is in session. Mon & Tues – 10am-4pm. $100 per hour. 4 hour minimum. Mon & Tues (Tuesday morning, Wednesday morning). 1am-4am. $100 per hour. 3 hour minimum. Wed & Thurs 1am-4am (Thursday morning and Friday morning). $100 per hour. 3 hour minimum. Wed & Thurs 10am-1pm. $100 per hour. 3 hour minimum. Fri & Sat 10am-1pm $100 per hour. 3 hour minimum. Sunday 1am-4am. $100 per hour 3 hour minimum.